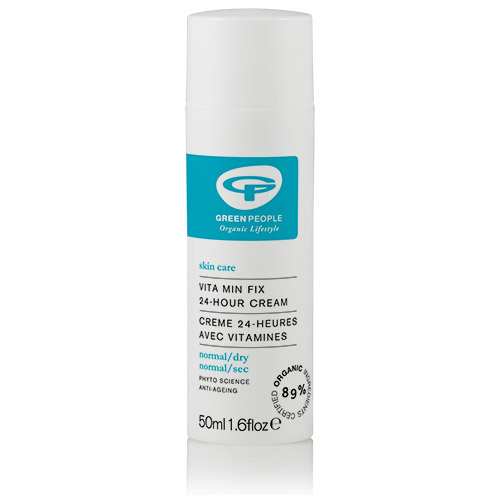 Below are reviews of Green People Vita Min Fix Moisturiser - 50ml by bodykind customers. If you have tried this product we'd love to hear what you think so please leave a review. Good moisturiser, is absorbed easily without being greasy. Life-changing! Has cleared my skin up so much in just a few weeks. I really love it! Before, I was buying moisturisers based on ingredients I knew would help my dry skin - e.g calendula, but they weren’t addressing all my skin concerns (sensitive, congested T zone). I went for a skin consultation and was recommended to get a “complete” moisturiser full of vitamins to try and get my skin balanced again. I tried 2 samples of this so was 100% sure before trying full size. I love the hygienic pump, I love that it’s organic and made by a home-grown, ethical company. I love the gentle scent and silky texture; you can layer it on dry patches. For me, the size is perfect as I don’t need a lot and it fits in my make-up bag to use as a primer under foundation. I’d recommend trying a sample or 2 over the course of a week so you can see the difference like I did. I do like Green People Facial products, only 50ml size products so bit more expensive than I would normally pay, but they seem to suit my skin.